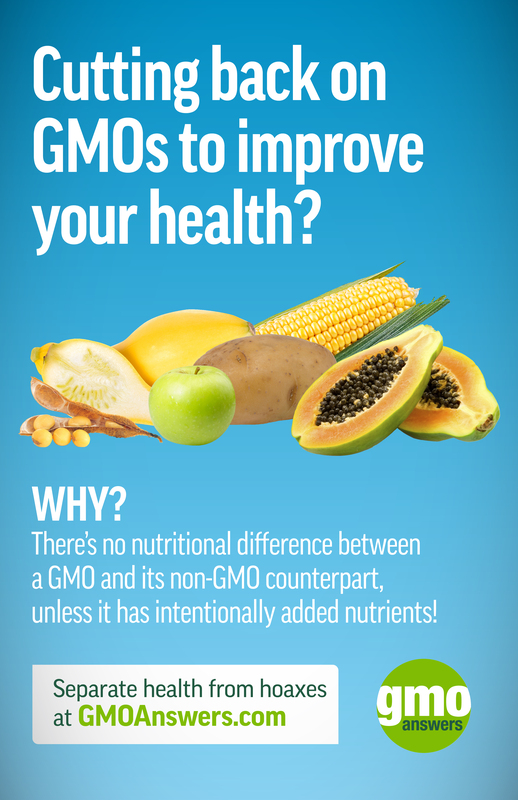 There is no nutritional difference between GMOs and their non-GMO counterpart, unless the nutritional content of the GM crops has been intentionally modified, like high oleic soybeans, or biofortified crops, such as Golden Rice. 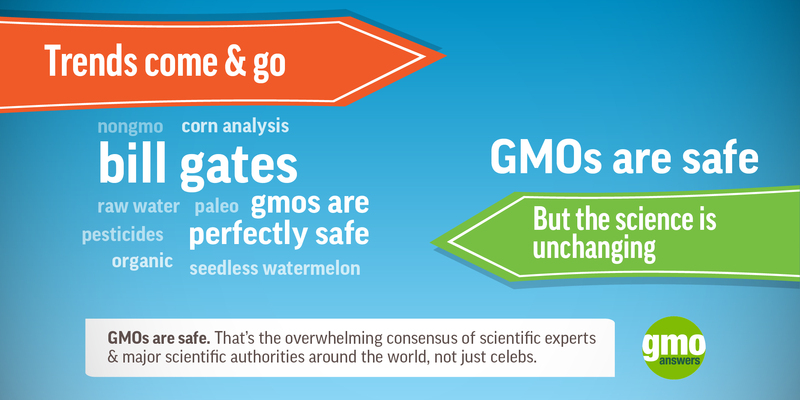 In the spring of 2016, The National Academies of Science, Engineering and Medicine (NAS) issued a report confirming the safety of GMOs and also their compositional and nutritional equivalency with non-GMO foods. The NAS confirms, “Statistically significant differences in nutrient and chemical composition have been found between GE (genetically engineered) and non-GE plants by using traditional methods of compositional analysis, but the difference have been considered to fall within the range of naturally occurring variation found in currently available non-GE crops.” Click here to read the full report. Genetically modified microorganisms are used to create some of our most essential vitamins. Examples of vitamins created through genetic modification are vitamin A, vitamin B-2, vitamin B-12 (riboflavin), vitamin C (ascorbic acid), and vitamin D.
There are several ways that genetically modified microorganisms are used to create vitamins, including utilizing a natural bacteria (Bacillus subtilis), while others are derived from GM crops, such as corn, soy, and sugar beets. 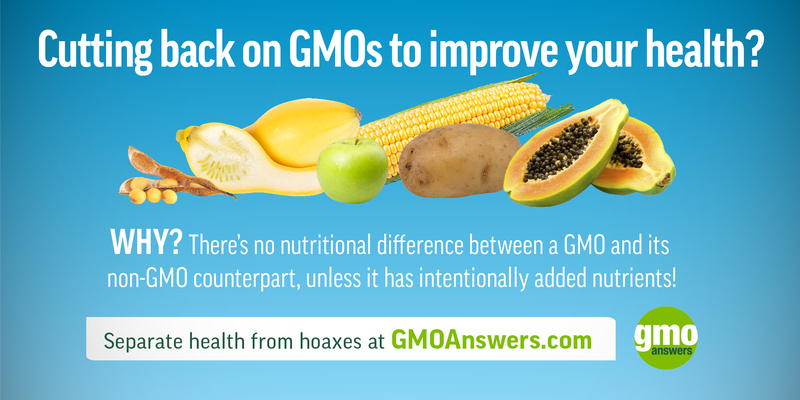 GMO vitamins can be found in supplements and in food. As some companies move away from GMO products in an effort to claim to be GMO-free, their products suffer from reduced vitamin content, as they must eliminate vitamins created through biotechnology. This is especially apparent in fortified cereals. amino acid and protein-biofortification of sorghum and cassava. Much like GMOs in medicine, and nutritionally-enhanced GMO crops, vitamins derived from GM methods are not only safe for you to consume, but can be good for you too! Learn more in our Improving Nutrition in the Developing World section.